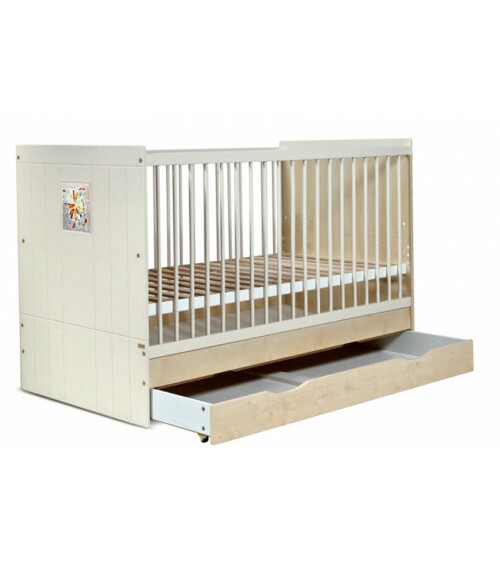 Cot bed of 70 x 140 cm convertible into junior bed. As your baby develops and grows you can change and adjust the height positions to accomodate their changing needs. 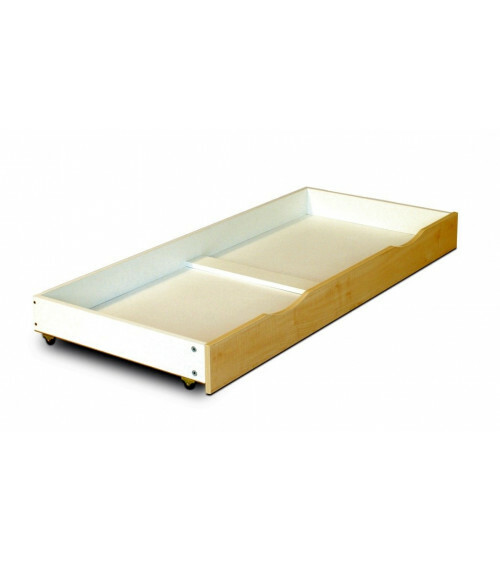 Convertible bed: can become a junior bed for your child. Fixed barriers and a transformation kit included. 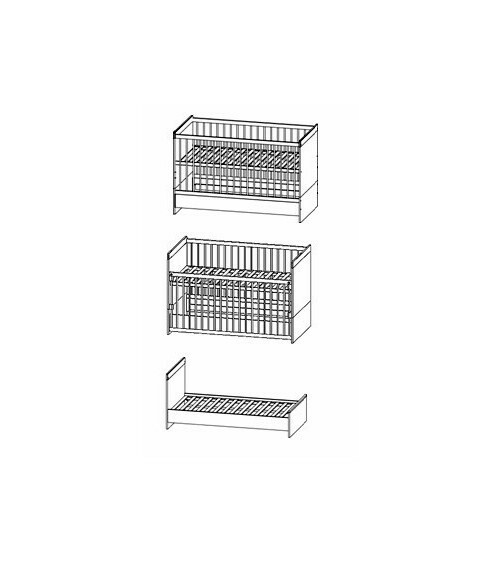 Cot bed complies with EN 716-1 et EN 716-2.